Desi Smith/Staff Photo. 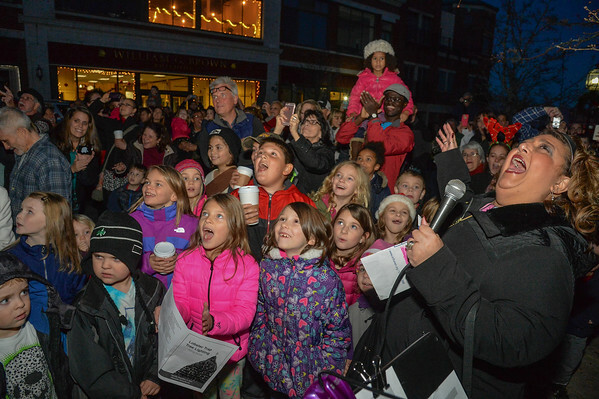 Mayor Sefatia Romeo Theken leads a group of children and the crowd, in the final count down at the annual lobster trap tree lighting held Saturday night on Main Street. December 12,2015.